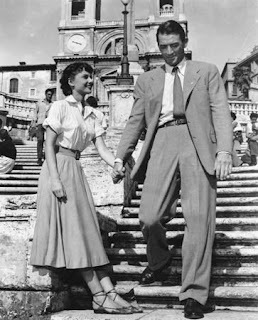 The circle skirt became popular in the 1950's, when the world war 2 restrictions were finally lifted and hemlines dropped and skirts became fuller, seeing a change from the pencil skirt shape of the 40's. 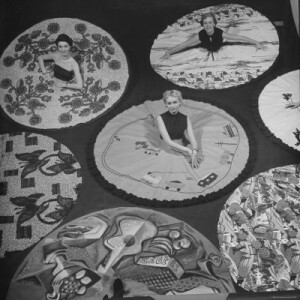 Circle skirts were cut in a full circle out of one large piece of material to allow for a more dramatic and feminine shape. 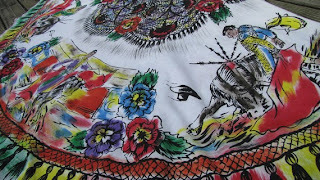 They were either gathered at the waist a circle cut in the middle for a waist and the fabric left to hang naturally. They were generally worn with a crinoline to add bulk and movement to the skirt, but could also be worn with out. 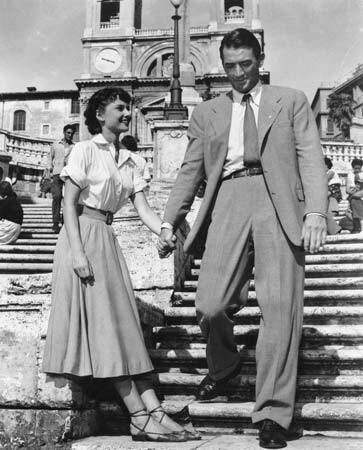 Audrey Hepburn wears a simple circle skirt with out a crinoline in the film Roman Holiday. If the design of the circle skirt is an example of form following function, then the function of this skirt is dancing. 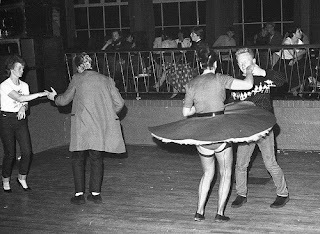 The rise in popularity of the circle skirt coincided with the rise in popularity of rock and roll music. 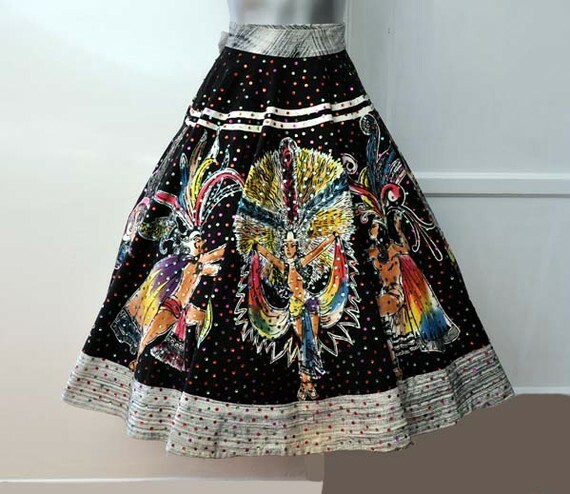 All though there were different varieties of the circle skirt such as the conversation skirt, and the poodle skirt, the Mexican circle skirt. 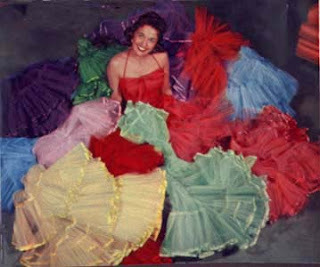 Some of the most spectacular circle skirts of the 1950s came from Mexico. These were made primarily for the tourist trade, but they were also imported into the United states and sold through catalogs and mail order. They particularly became popular due to the large amounts of Californians, especially Hollywood actors such as Marilyn Monroe, Jayne Mansfield and Katherine Hepburn who traveled to Mexico in search of the "quickie" divorce and came back with a few Mexican "tourist" skirts in tow. 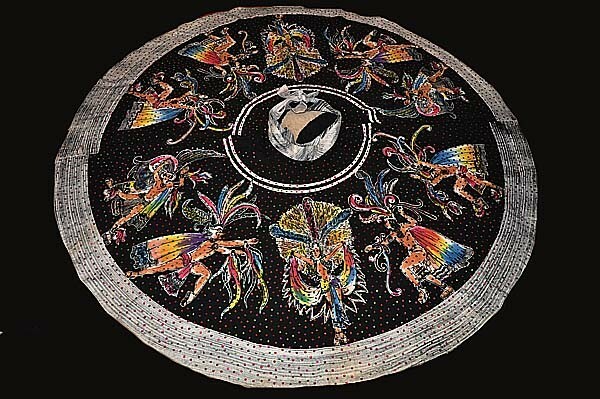 Many were hand painted or block printed, and then they were lavishly decorated with sequins. Most had scenes of stereotypical Mexican life, but others had large colorful flowers, or scenes of the desert. 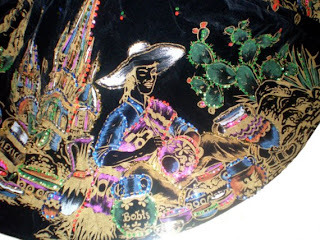 I order my very own piece of Mexico today from Gold Rush Vintage on Etsy, I cant wait for it to arrive. Here is a sneak peek! Outfit post to follow of course! I love Mexican skirts ,but there are so darn expensive..have to make my own. Mine was $100 inc shipping to the UK, which I think it quite reasonable as its hand painted and I have wanted one for ages. They are quite rare in the UK, so would probably be impossible to to pick up in a charity or thrift store for pennies! How amazing is that top picture? So pretty! 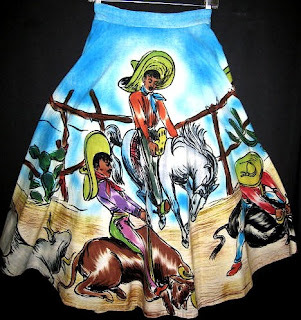 Great post I love circle skirts they are so flattering. Seen a few traditional Mexican ones on ebay but they are rather pricey! Gosh, what amazing fabric!! Wish we could find things like this these days.